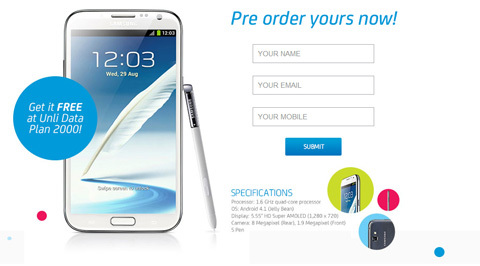 Samsung has announced the GalaxyNote II in their unpacked event last August and it’s now coming to the Philippines this October with Smart Communications. Philippine wireless leader brought the latest iteration of the famous “Note” line to their UnliData Plan 2000. You can have the handset for free! The famous UnliData Plan 2000 will have a 1.5GB monthly data consumption aside from the bundles found in their fare-use policy. 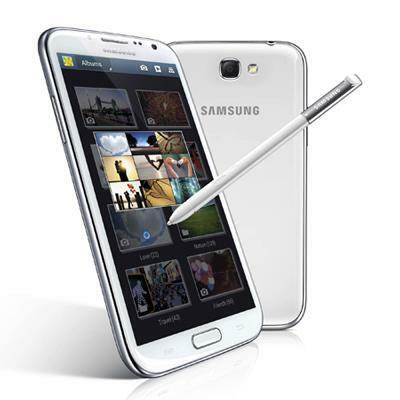 The Samsung Galaxy Note II is the sized-up version of the Galaxy S III that comes with Samsung’s proprietary S-Pen stylus. It is also pegged to be the first device to have the Android 4.1 (Jelly Bean) in the Philippines.